Yay it’s our Gifts in Mason Jars Event! There is literally something for everyone here! PLUS we are giving away a $50 gift card to Mason Jar Lifestyle. Scroll down for all the deets! My family and I love the movies– both watching them on Netflix and also going to our local movie theater. 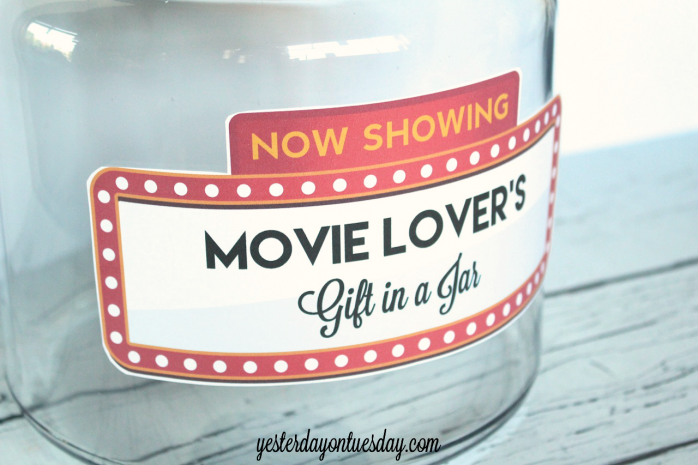 That’s why I was so excited to make this Movie Lover’s Gift in a Jar and printables to go with it! 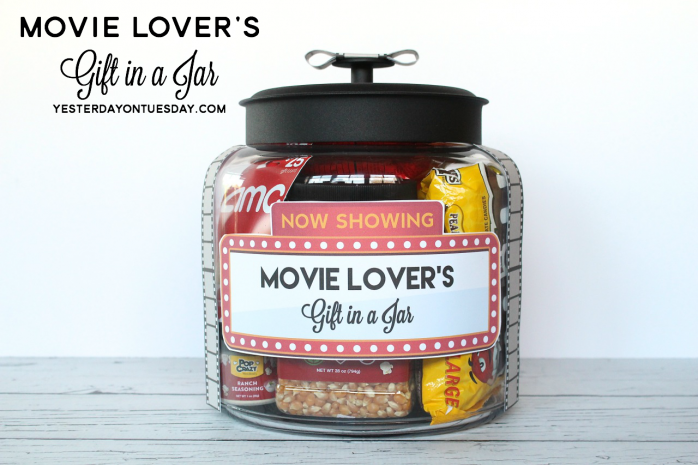 For a blockbuster sized gift, you need a BIG jar! 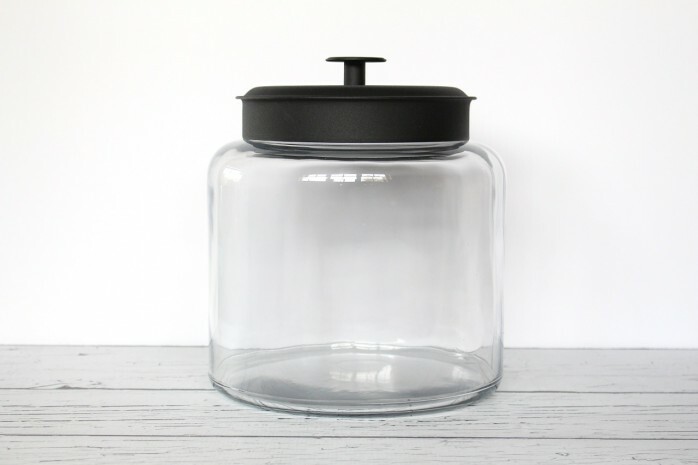 I used this 1.5 gallon Montana Jar with Black Lid. You can get it online at Fillmore Container. 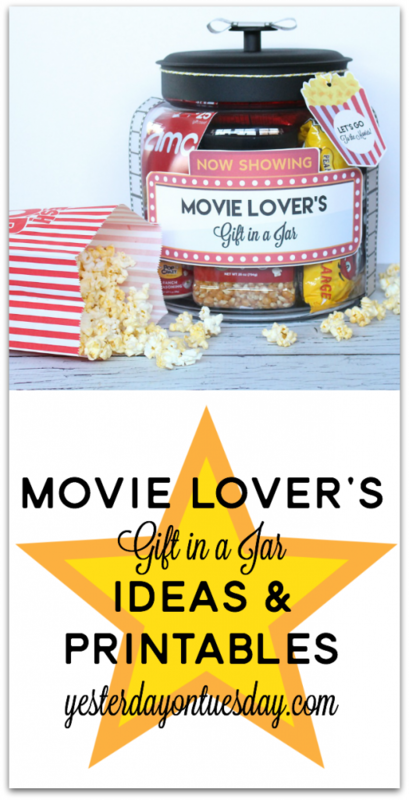 It’s got lots of space so you can include as many movie themed goodies as possible. 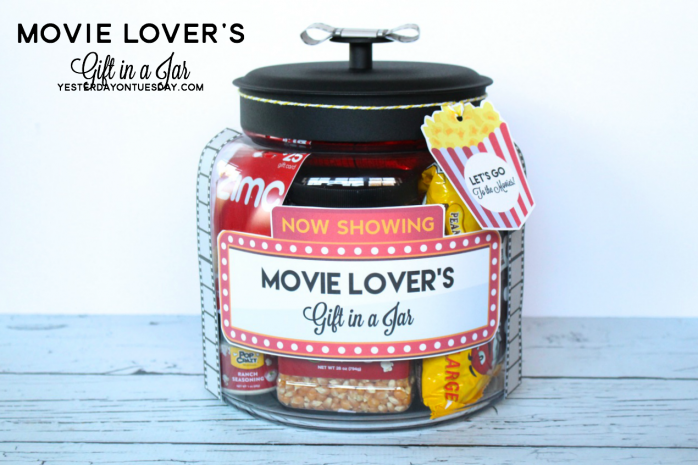 Check out all the stuff you can fit in this jar: tons of paper popcorn bags, boxes of movie theater staples like Raisinettes, Reese’s Pieces, Milk Duds, bags of M & M’s, Peanut M & M’s, and Starburst, a jar of popcorn and three jars of popcorn seasonings and a gift card to AMC Theaters! 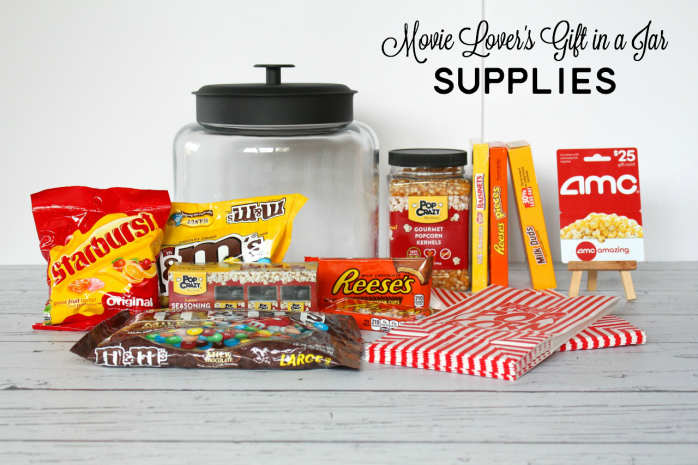 Basically everything you’ll need to enjoy a movie at home or at the theater. 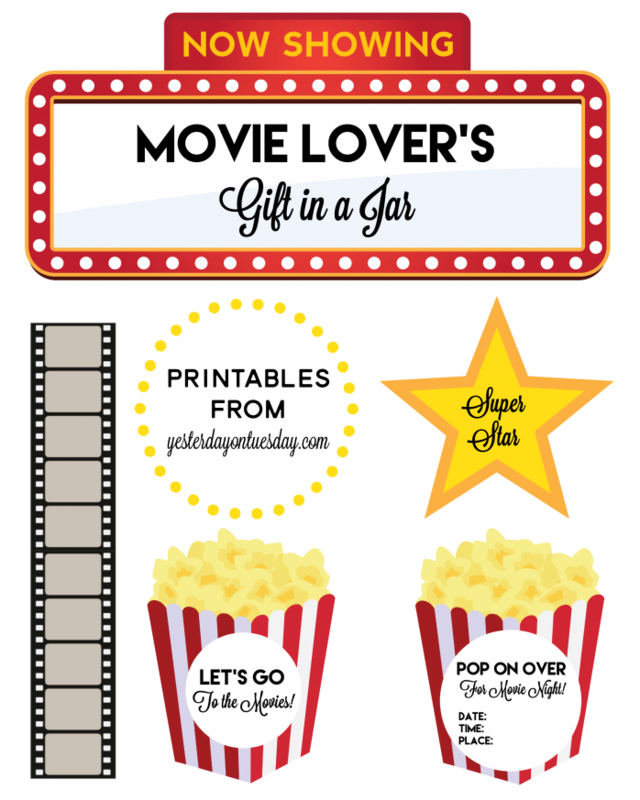 First, you’ll want to grab these Movie Lover’s Gift in a Jar Printables, including a jar label, tags, paper ribbon, a movie night invite and more! 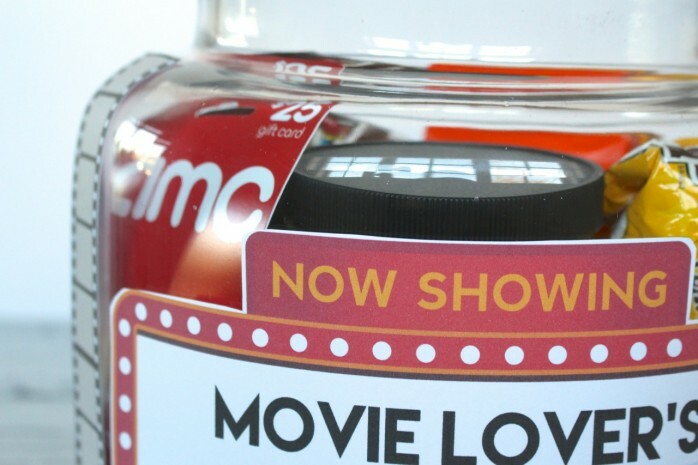 If you want to create a film strip paper bow like I did, you’ll need to three of these printed film strips and then two more for either side of the jar. Have scissors and glue dots handy. 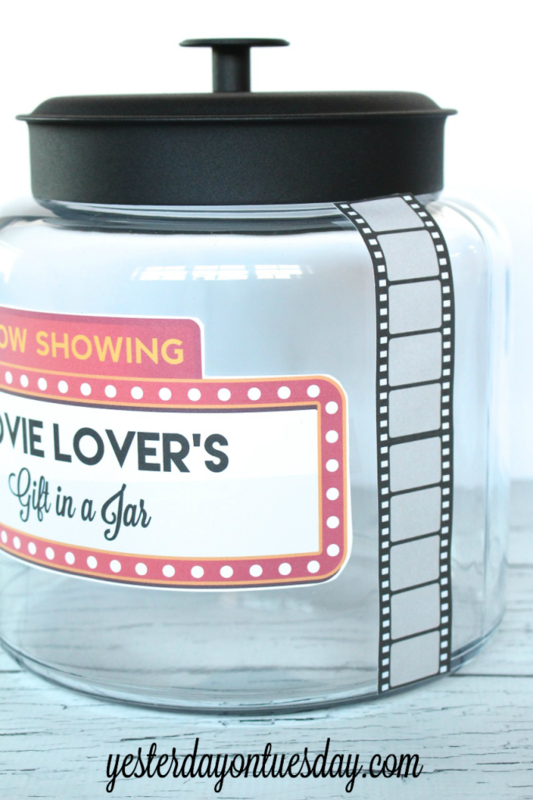 First, cut out the jar label and affix to the jar with glue dots. 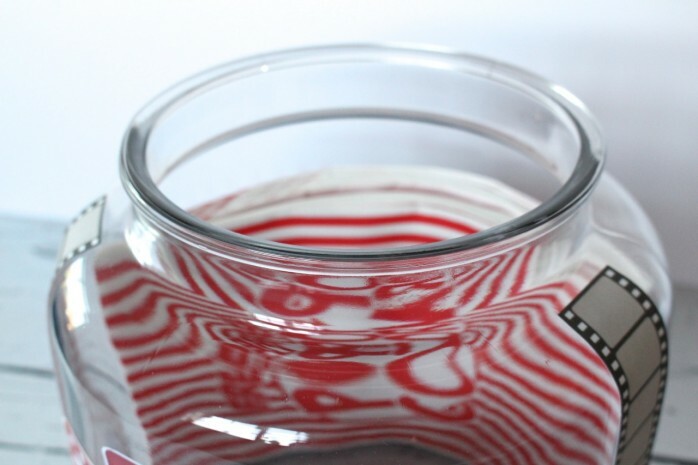 Next, place two film strips on either side of the front of the jar so they resemble ribbon. 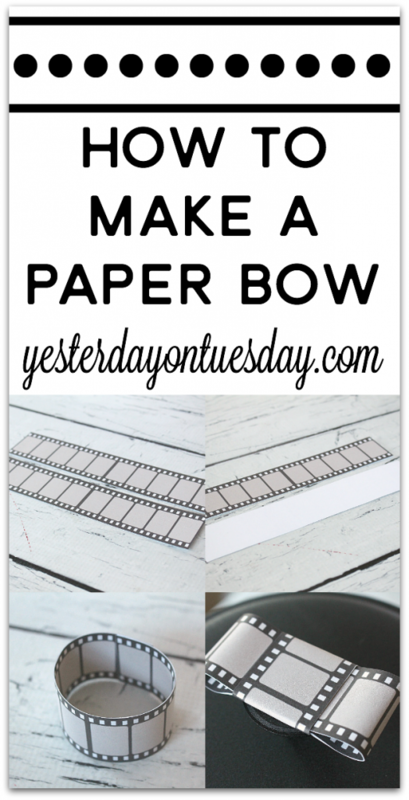 To make the film strip paper bow, print out three film strips and cut them out. Glue two together, wrong sides facing. Then repeat. Make one of the double sided film strips into a circle shape, keeping it in place with a glue dot. Then fold the third film strip over the middle, trimming away and excess paper. Use another glue for to fasten. You can see how the final bow looks above. 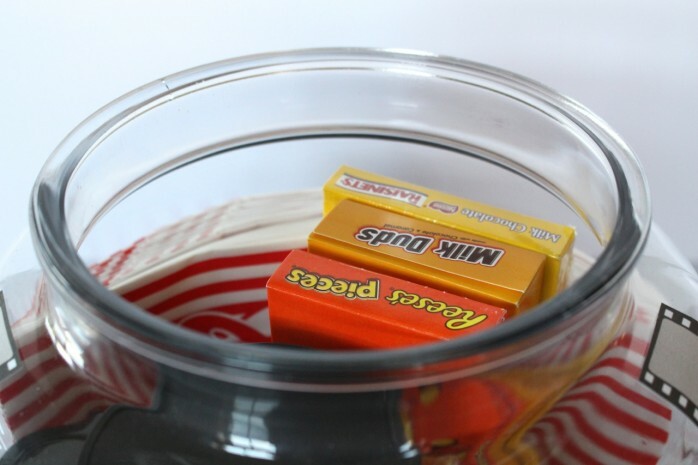 Then the popcorn, popcorn seasoning and boxes of candy. Next is the movie card and the candy in bags. Finish with a popcorn tag! 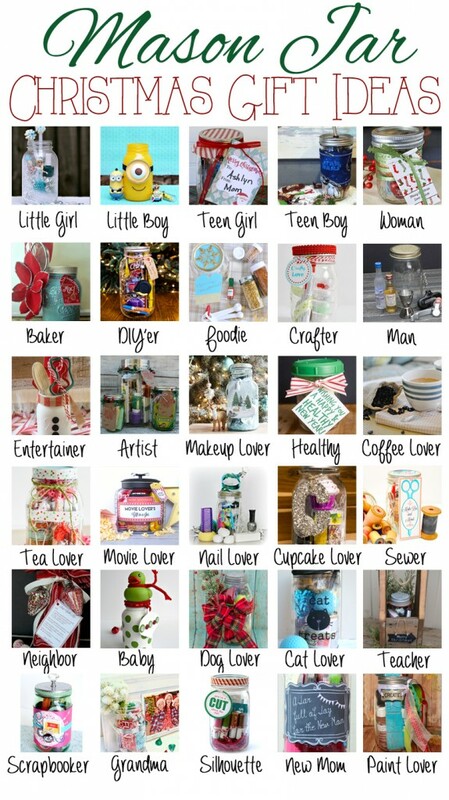 OK now check out 29 additional ideas for Mason Jar Christmas Gift Ideas! In the mood for mason jars? How adorable and fun. I love that you put so much detail into the artwork for the jar! I would love to get this gift! We are big movie buffs. I have to echo what Yvonne said. I would love to get this gift!! This is such a great family gift! Love this! 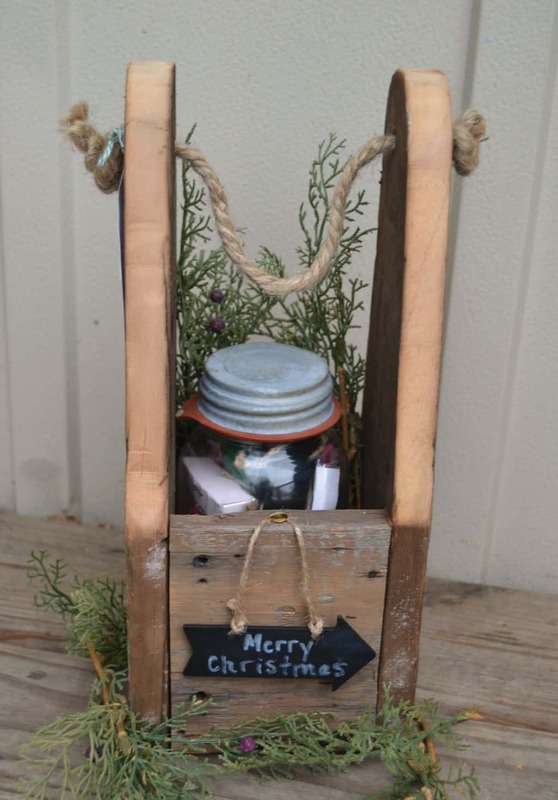 Such creative packaging and a great gift for anyone! Super cute! I love this idea! It was so fun “hopping” with you! Oh my boys would love this! Yes! This would be so great for so many people this year! Thank you for the printables! I want to make this for my neighbor. Pinned! This jar has my name written on it, love all that yummy chocolate! And your film bow?! Too cute! Thanks for a great blog hop!